There are many complex processes & procedures necessary to deliver specialty dental practice management services, and we help our clients with all of them. Our services can give you peace of mind knowing your practice is operating smoothly and efficiently while allowing you to provide superior service to patients at all times. We provide comprehensive practice management services, including payroll processing, insurance services, IT support and more. With our knowledge and experience in the field, we can help determine if a potential practice will be a good fit. Starting a dental practice takes planning, time and effort. Our services can help build it right from day one.  OMSP was able to manage the claims processing of both medical and dental claims, allowing me to focus on patient care. Someone was always available by phone or email if I had questions, which helped me to learn the business on the fly while continuing to see my patients.. In addition to helping new dental practices get started, we also provide financial services at all times. Billing, accounting, and financial planning are all necessary, but also very time-consuming. With our services, you can shift your focus to other areas as we handle the challenging aspects of accounting. Medical and dental billing can be time-consuming. Our team can handle all billing aspects to ensure timely payment. Doctors typically have unique financial situations. We are happy to assist with personal financial planning as well. Proper accounting practices can set your practice up for success. Our experts provide reports to know where your business stands. Learn how we can help your practice thrive. We are proud to work with some of the best partners in the dental practice management industry. Whether it’s protecting a dental practice’s assets, allowing for increased productivity or providing other solutions, we only work with the top partners to serve you and your best interests. Our team of dedicated professionals is knowledgeable in all aspects of dental practice management. We specialize in working specifically with dental practices, so our clients can guarantee they will receive a tailored service. Our goal is to allow your practice to be profitable and take your success to new heights.